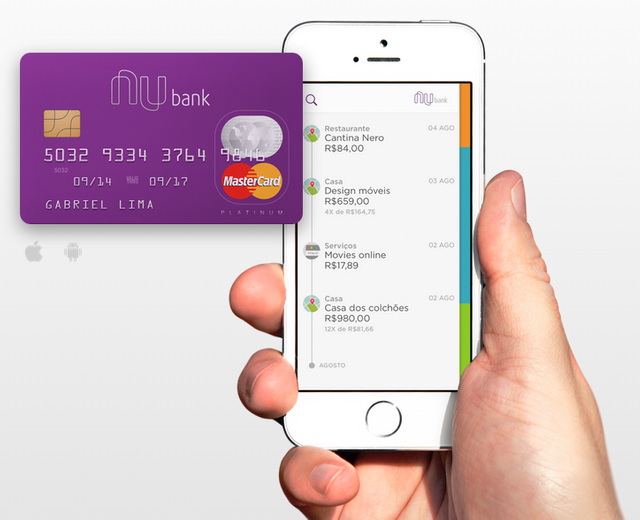 Nubank, a fintech shop out of Brazil, just raised $180 million from Tencent at a valuation of $4 billion. It’s the most recent in a string of mega-deals backed by the Chinese Internet giant in the past couple months, including four in October alone. Nubank, the Brazilian financial services company, has raised $180 million from the Chinese internet giant, Tencent. Tencent has long been interested in financial services startups, and with its $90 million direct investment and another $90 million investment in the secondary market, the company now has access to what is arguably the largest digital banking company in the world. With the $4 billion valuation, it also makes Nubank one of the most highly valued privately held startups in Latin America. News of the investment was first reported by The Information, which included the $4 billion figure. For Nubank co-founders David Velez and Cristina Junqueira, the investment from Tencent means the addition of a strategic partner whose financial services products and transaction platform is unmatched by anything in Western Europe or the U.S. Velez stressed that Nubank, which had raised $150 million in a February financing round led by DST, did not need the additional capital. “We found so much value in partnering with Tencent,” Velez said. “Particularly everything there is to learn about the Chinese financial market.” Velez hopes to take those lessons and apply them back to the market in Brazil. China is in the forefront of financial services globally because of its technology companies’ ability to offer multi-product platforms. “They have built the playbook of how to use mobile.” Through the investment, Tencent will gain an understanding of how Nubank has managed to service 5 million credit card holders, and the game plan the company is deploying to develop its own savings accounts and other banking services. “Over 20 million people have applied for the card,” said Velez. “There are active, engaged, customers that want to get everything from us.” Junqueira estimates the company will soon be able to serve tens of millions of Brazilians with either a savings account, a checking account or credit. The opportunity could be even bigger as Brazil’s central bank investigates the possibility of instant payments as well, looking to India’s experiment with demonetization as an example. Both Junqueira and Velez said the opportunity for financial services startups to achieve significant scale was far higher in emerging markets like Brazil than in developed markets, because the barriers to banking are so much higher. Financial services, Velez said, has been controlled by massive oligopolies that have erected unfair obstacles to wealth creation for the masses. Nubank and other companies like it are working to change that. Now the company has the benefit of Tencent’s guidance as it continues to push the envelope.